There are many questions regarding cremations and we hope to answer them here. If you have a question we don't answer, please feel free to give us a call, email us, or come visit with us. Many people think you cannot have a service if you are cremated and this is not true. The following is an explanation of different cremation options. Direction Cremation is when you are cremated with no viewing, no visitation, and no funeral service beforehand. At the time of death we will pickup the body and take it to the crematory where proper care is taken of the deceased until the cremation process can take place. After the cremation process, the cremains (which are the ashes) will come back in a sealed plastic bag inside a temporary hard plastic container, that can be picked up at our funeral home. All the paperwork is included in this fee as well. We also type an obituary that will be used on our website, our Facebook page, and KAIT’s online obituary page if you want, at no additional charge to you. The obituary is optional you don’t have to have one if you don’t want one. All the paper work for the direct cremation to take place can be done at your home, at our funeral home, or any location of your choice within 75 miles of Manila, Arkansas. We will come to you if you can’t travel to us. Before we can cremate, state law requires waiting 24 hours from the time of death, have the death certificate signed by the person that pronounced the death, and the Cremation Authorization form signed by the legal next of kin. We often get lots of questions over additional fees for the removal of someone once they pass away, so we want to take the time to explain that if you pass away within 75 miles of Manila, Arkansas there is no additional cost added to our fee of $850.00. If you pass away over 75 miles away from Manila, Arkansas we charge $2.25 per mile. If you want an urn for the cremains, we have several different types at our facility ranging in price from $50.00 to $250.00. If you want to bring in an urn or some other type of container to keep the cremains in, we will place the cremains inside at no additional charge. Sometime an urn is not needed because the cremains are to be scattered or buried. Other cost would be for certified death certificates. Arkansas charges $10.00 for the first one and $8.00 for each additional. Missouri charges $13.00 for the first one and $10.00 for each additional. Tennessee charges $15.00 for each. If you are a veteran, Arkansas gives you one free and Tennessee gives you three free. If death occurs in Tennessee, there is a Cremation Permit that is required by the State of Tennessee at a cost of $25.00. If you want to see your loved one before the cremation, without a public viewing or service, there is a $150.00 fee. Memorial Service before or after the cremation. You may have a memorial service at any time on your own at a location of your choice and there are many ways to do this. You could display photographs and memorabilia. You could have a speaker and songs just like a funeral service but without the body present. You could have it before or after the cremation is done - you really aren't under any time deadlines. Some people wait weeks or months to have their service. Services can be held at a variety of places since there is no body present. You do not have to have a funeral home involved in this type of service. If you feel you need to have a viewing and or a service with the body present, you can do that. 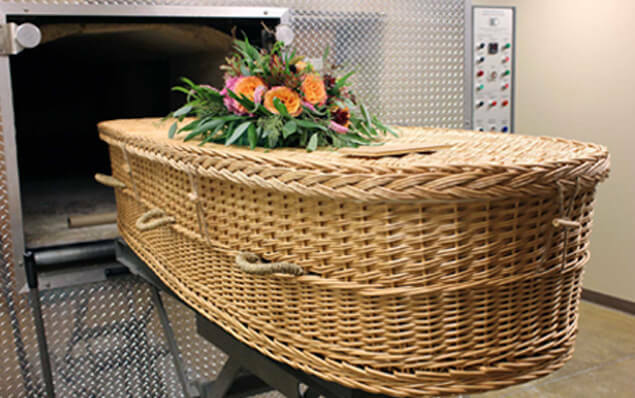 Our fee includes everything we do for the direct cremation plus embalming, staff, and vehicles needed for the service. After the service, the body would then be taken to the crematory for the cremation process as described above in the direct cremation. You would also have the expense of a rental casket of $400.00. The cost of obituary, certified death certificates, and cremation permit if the deceased died in Tennessee. Some people wish to have keepsakes they can have a small amount of ashes in and we carry several different necklaces, keychains, and bracelets that are made to hold cremains. They range in price from $25.00 to $50.00. You can also order these types of items online and bring them to us and we will put the cremains in them for you at no cost.